It may not be a secret that the best way to a six-pack is regular exercise and a healthy diet (even if it’s no diet at all), but there’s a right way and wrong way to a flat stomach. Read on for the ultimate guide to getting flat abs. Getting flat abs isn’t about starving yourself or living at the gym. Reducing belly fat involves a mix of smart eating and effective exercise. Make sure you eat enough food to keep your body from experiencing hormone imbalances; eating too little (fewer than 1200 calories a day) reduces the amount of the fat-burning hormone leptin in your body, which will slow down weight loss. And if you’re just exercising without changing your diet, you’ll spend a lot of time at the gym with little result. 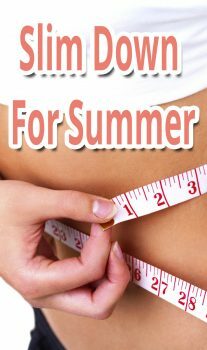 Read more about the dieting and exercising formula for reducing belly fat here. Doing regular posture-building exercises pack a double punch when it comes to busting that belly. Having good posture helps you look slimmer instantly, while sticking to a posture-building routine every day will strengthen your ab muscles, and help get you well on your way to a six-pack. Here are some posture-building moves to help you look like you’ve dropped five pounds. Abs exercises will help define those muscles, but don’t forget cardio for overall weight loss; otherwise all those sit-ups will go to waste. If you want results fast, try high intensity interval training, which has been proven to be one of the best ways to fight belly fat. Having too much stress can lead to higher levels of the stress hormone cortisol in your body, which can increase the amount of fat you store around your belly. Can’t seem to de-stress? Take a few minutes each day to relax with these tips on how to decrease levels of cortisol in your body. The secret to getting flat abs includes a diet that helps shrink that midsection. The best things to eat include foods high in fiber and other foods that help you beat the bloat. Swap your normal breakfast for a bowl of oatmeal with blueberries, for example; the fiber in the oatmeal will aid in digestion, and the antioxidants in blueberries may help you shed ab fat. Find out more on which foods you should be eating to bust that belly here. 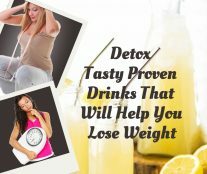 It’s not in the foods you eat—what you drink can help debloat and flatten your tummy as well, so bottoms up! Drinking a glass of water every morning, for example, will help you alkalize your body—which helps you burn fat and detox your system. Besides lemon water, here are more drinks to add to your routine so you can regularly detox every day. These There are those foods that help slim your middle, and those that make you feel like a bloated balloon. As you continue your ab-flattening workout plan, be sure to avoid foods that cause bloating, like broccoli and cabbage, when things start getting serious.